When I started freelancing, I started exploring my business options when I realized I would have to start paying taxes and tracking my expenses. 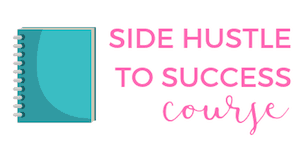 Last year, I was working full time, blogging and side hustling in my spare time. I didn't worry too much about things, except for putting away 30% of each paycheck towards taxes. A few months ago, I was able to quit my full time day job and enter the freelance world. That's when I started really thinking about what I wanted to do with my business. Essentially, I was already acting like a sole proprietor because I was working for myself. 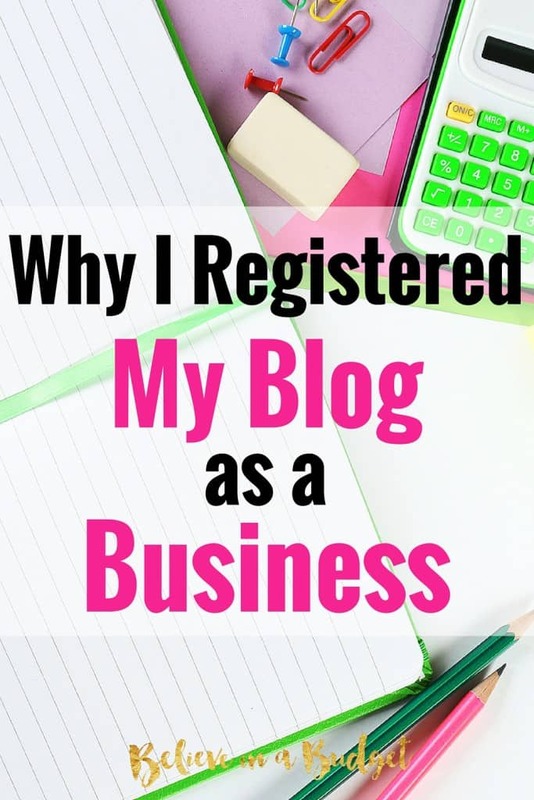 Thanks to my previous work experience (outside of blogging), I knew I had several different options about registering my blog as a business. More specifically, I wanted to turn my freelance career – that is partly tied into this blog – into a registered business. I also wanted to bring everything together into one business as it all related to each other. There are many different options when it comes to freelancing. I could remain a sole proprietor. It was the easiest option as there aren't really any start up fees associated with this. Ultimately, I decided to register as an S Corporation for various reasons. I work with a number of clients. 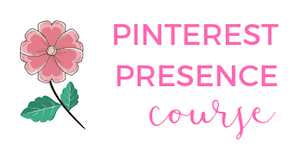 Some of my clients are related to my Pinterest business and some are related to my career niche outside of this blog. Out of all these clients, some require a W9 up front and some just pay me through PayPal. I'm partnered with ad networks, affiliate products and have my own product. Essentially, I'm all over the place! My social security number is everywhere and I prefer to have it in as few hands as possible. By creating a business, I can group everything together and have it all in one place. I can eliminate the use of my social security number and use a federal employer identification number instead for everything! I can also lump all my income and expenses into one account. This makes tracking everything much easier. This is the main reason I decided to register as a business. With every company I work with – as an independent contractor or as an affiliate – usually requires giving out my social security number. While I know everyone has the best intentions, I grew tired of giving out my social to everyone. By creating a registered business, I was able to apply for a federal EIN and use that instead. This special number replaces the use of having to use my social security number when filling out paperwork, which in turn creates less risk. This provided better protection for myself and helps separate my personal finances from my business finances. While there is absolutely nothing wrong with being a sole proprietor, I wanted to build a brand for myself. Whether it's creating products or working with other brands, I feel more comfortable acting as a small business owner. One of the best advantages of forming an S Corp is avoiding double taxation. This means that I can't be taxed twice. Instead all the profit and loss will be passed down to the individual. What does this really mean? Basically, let's say I'm a regular corporation. If I have to pay 30% in taxes as a business and as an individual, I would have to pay these taxes twice. That's crazy! By registering as an S Corp, I can avoid paying taxes on the corporate level. Aside from avoiding double taxation, a business owner can reap other benefits. An S Corp can avoid self employment taxes as well, which means saving nearly 15% of your income! As an S Corp, I can deduct my business expenses. While this is similar to a sole proprietor, I like creating a firm line between my business expenses and personal expenses. I don't want things to get blurry and I prefer using separate checking account for my business and my personal life. It's also way too tricky to go back through my personal checking account and try to remember what was a business expense and what wasn't. Luckily, GoDaddy Bookkeeping helps me track everything. I can link in my PayPal account and my Capital One 360 account, and all my income and expenses are tracked for me. This makes filing my taxes much easier and less stressful when I have everything in one place. The setup cost to be a sole proprietor are pretty non-existent. This is why so many freelancers remain as is, as it essentially costs nothing when getting started. When registering as anything but a sole proprietorship, the set up fees vary. As I registered for an S Corp., the fees are pretty high. I had to pay for a city and county business license and then pay to file to be an S-Corp. This can be intimidating to someone who has no experience with this kind of thing. Luckily, I was pretty comfortable deciding what direction to go in and knew the S Corp was the right fit for myself. Being able to decide if I want to be a sole proprietor or register my business is a great problem to have. None of this would have been possible if I had never started this blog. I still can't believe I made over $13,000 in only ten months working part time. That's crazy! Have you thought about registering your freelance business or blog as a registered company? 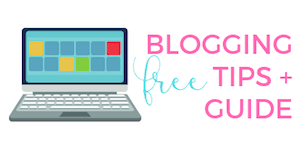 If you are thinking about registering your blog as a business, seek out professional advice. What worked for me might not be the best option for you! This is super helpful – thank you for laying it all out! Besides registering as an S Corp, did you do any of the below? Or, were any of these included as part of the S Corp registration? I am getting my website off the ground and I want to make sure I have my bases covered before I get too far into everything. Any advice on these things would be MUCH appreciated! Definitely check with your local government, as I’ve found the rules are totally different when applying for your biz license and setting up your S-Corp. Depending where you live, you might have to register in your city, county and state. Trademarking is totally different. Check out USPTO.gov to make sure your TM name is available!